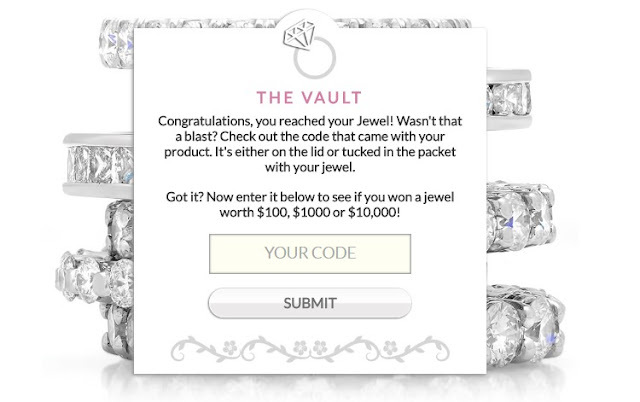 FRAGRANT JEWELS is giving away nearly $100,000 in jewelry to lucky winners and you can enter as often as you like to win! One Hundred Fifty (150) Second Prizes: A sterling silver ring set with semi-precious stones or lab-created gemstones, with a retail value of approximately $100 (selection of type of stones subject to Sponsor’s discretion). Total approximate retail value of all prizes in the Promotion is $95,000. HINT: You do have to purchase something to get a CODE to for EACH entry, but you can enter for FREE by requesting codes via regular postal mail. See the rules for details. This Sweepstakes ends on 10/05/16 and you can ENTER AS OFTEN AS YOU LIKE to win.